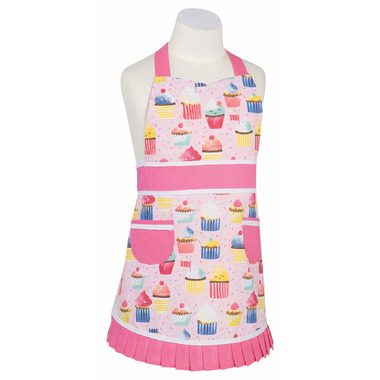 Little kitchen helpers have never looked so darling when wearing aprons finished with pretty pleats and two front pockets for sneaking in a treat. 100% cotton. W21 x L21 inch.